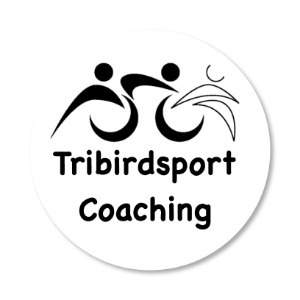 Tribirdsport Coaching is a Triathlon Individual & Group Coaching business. I provide training plans remotely & locally which are specific to each athletes individual strengths & weaknesses & goals. I provide group sessions as well as individual sessions where I can analyse technique. I also offer discount for Bike maintenance & pre race safety checks. I am also a qualified Sports Massage Therapist. I'm a British Triathlon Level 2 Coach, Sports Therapist, Fitness Instructor & Personal Trainer. Working in the triathlon industry as a coach since 2014, working with my local triathlon club as well as individual coaching. I participated in Triathlon myself for 10 years starting at sprint & olympic distance & built up to 70.3 & Ironman distance. I had to retire from racing due to Osteoarthritis in my right hip making running painful. This was why I decided to go into coaching as I loved the sport so much I wanted to give my motivation, enthusiasm & knowledge back to help other athletes achieve their goals. I am at present completing my British Triathlon Level 2 Diploma. I also do Sports Massage Therapy, I have 5 years experience working with a couple of Rugby Teams & 10 years experience overall. Success. Coach Jennie Tribird has been notified of your message.